This course is designed for those working in paper converting, coating, printing and flexible packaging. The content will be particularly beneficial to engineers, technicians, chemists, scientists, sales representatives, and customer service representatives. Representatives of companies that supply adhesives, inks, silicones, papers, plastic films and aluminum foils will also find this curriculum very useful. Participants receive eight hours of classroom instruction, four hours of hands-on experience on state-of-the-art equipment, lunch and break refreshments both days. Expert instruction is offered by Dr. Roland Gong, assistant professor of paper science and engineering at the University of Wisconsin-Stevens Point. 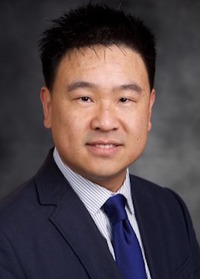 Gong earned his doctorate in paper and imaging science and engineering from Western Michigan University, where he researched paper coating using new materials and cutting-edge facilities. Gong's research focused on the paper pigment coating process. He has worked on coating and lamination since 1998 as a printing and packaging engineer. His work has included product packaging and liquid packaging. "Overall, this is a good introduction of lamination and coating for people in the papermaking industry working on converting/packaging. I am a research scientist in product development. My background is chemical engineering and paper making. I found this course useful and helpful for my project and helps to generate new ideas in product development." "Dr. Roland Gong comprehensively covered the materials and processes of packaging coatings and laminations. This was done in a successful manner which has appropriately increased my value to my customers and my knowledge of their operation and end use needs."